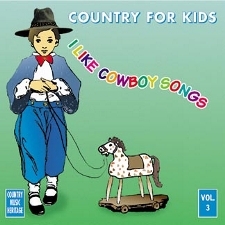 This collection of cowboy songs is perfect for young children. Boys and girls will have tons of fun listening and singing along with these great cowboy songs that evoke images of the old west and the cowboys they love so much. This collection is perfect for the youngest to the oldest. Boots and Saddles, (Take Me Back to My) - Willis Bros.